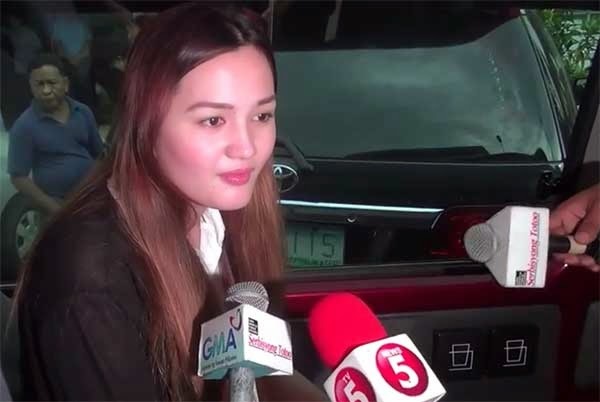 A video has captured a tug of war between reporters of rival networks GMA-7 and TV5 for an exclusive interview with model Deniece Cornejo. According to INQUIRER.net, the two newshens were arguing about who should do the interview first inside the van after Cornejo was released on bail. Cornejo is facing charges of assault and serious illegal detention filed by actor and TV host Vhong Navarro. The incident reportedly took place in the vicinity of the Criminal Investigation and Detection Group (CIDG) detention facility in Camp Crame in Quezon City last Thursday, September 18. The tension between the Kapatid and Kapuso news correspondents went on for a few minutes until the TV5 reporter "outsmarted" the one from GMA-7, resorting to ambush interview before Cornejo could leave. The GMA-7 reporter was left with no choice but to join the ambush interview.